My work at Vaya is well underway. In fact, today I reached the two-week mark! The work thus far has been fascinating, not only because of all I have learned about the evolution of microfinance - in India and around the world - but also because of the opportunity I have had to learn from industry leaders with many years of experience, to witness day-to-day operations, and to meet the very clients microfinance institutions (MFIs) like Vaya serve. Today marks my fifth day in Hyderabad, India’s “city of pearls,” biryani capital, and its second Silicon Valley. Here are some thoughts, observations, and learnings from the city I will call home for the next two months. Sitting in my living room, checking email and preparing for the week ahead, I glanced up to see a perfect rainbow forming over the mountains. Five minutes later, it was gone. A friendly reminder from the skies that while these ten weeks are filled with meetings, excel spreadsheets, and everyday tasks, I must not take for granted this unique opportunity to spend a summer living and learning in Colombia. I interned in the summer with Access development services in Delhi and Jaipur, India. Access is a livelihoods organization working with 10000 artisans across the country. They do this through a network of 300+ full time employees spread across major states in India where they work on the ground with artisan clusters. When I first heard about the launch of Development Innovations (DI) in Cambodia I was at once delighted and shocked. The stated aim of DI, a lab funded by USAID and implemented by private contractor Development Alternatives International (DAI), is to catalyze development solutions through the use of technology. According to 2012 data from the National Human Resources and Employment Policy, every year an estimated 140,000 students complete general education without having acquired job-related skills. The Technical and Vocational Education and Training system is expected to fill the gap but employers consider it not very relevant in meeting their needs. With seven years’ experience of being a provider of financial support under its belt, Educate Lanka created a program for mentorship and skills development to fill exactly this gap. Realizing that students need larger amounts to pursue vocational skills training or higher degrees, Educate Lanka also began exploring options other than scholarships. And what this Blakeley Fellow did this summer…! It’s hard to believe that I’m sending my final greetings from Kigali. Today is my last day in the office with the African Entrepreneur Collective’s local partner, Inkomoko Entrepreneur Development. These past ten weeks have soared above and beyond any expectations that I had about my work this summer – I’ve learned so much, witnessed the hard work and long hours that my clients and all of the Inkomoko staff put in every day, and had fun getting to know them in and out of the office, too. Rwanda has definitely found a permanent place in my heart. Through the smoke coming from the braii (South African BBQ) one could hear the chimes of local entrepreneurs discussing African business, local beer and wine in hand. It was a gathering of the businesses in the cool, up-and-coming 44 Stanley complex, a converted factory that now hosts media and ad agencies, architects, cafes, local artisan shops, a beer garden, and our Endeavor office. As my time in South Africa comes to a close I thought I would take this opportunity to reflect on this overarching theme, as it strikes at the heart of my Fletcher education. One should also note that SA has some of the most labor-friendly employment laws, making it very difficult to fire an employee. You can imagine the many ways BBBEE affects business, from administrative costs to limiting the pool of candidates it can hire. This would not be an outrageous issue if there were well-qualified candidates, but alas the SA education system is horrendous! For example, a recent World Economic Forum Report ranked South Africa the worst in the world for math and science education. Historically, South Africa has had the largest and most advanced economy in Africa. However, recent data shows Nigeria to now be the largest economy in Africa. At Fletcher we live at that intersection of economics, politics and society – and nowhere is that more relevant than this topic in South Africa. The combination of a poor education system, which has many causes, and a poor BBBEE policy has choked South African businesses, and thereby stifled the economy. Businesses must divert skills and resources from their primary business activities to adhere to BBBEE, making them less competitive and productive. They must also get employees trained-up so they are capable of doing their jobs, and highly skilled labor is expensive. Yet, despite these factors there is still a skills shortage in SA. Normally, this would be a great opportunity for a young professional like myself, but alas the government has passed new legislation that extremely restricts importing labor to ‘critical skills’. My favorite example of a ‘critical skill’ - sheep shearer. Since being in SA I have heard of a Fletcher alum who has lived in SA for several years being stuck in DC for weeks due to his visa being “in process”; his visa has been “being processed” for two years. A friend and her boyfriend who employ more than 10 people whose visa is now expiring within 90 days, their extension was denied. An American who has lived in SA for 11 years, owns a home, has a family and employs several people who might have to spend a year in the US waiting for a visa renewal because nobody knows how to implement the new legislation. The government’s justification for this poor law is the same old excuse -- foreigners are stealing jobs. This is just sad. Poor government policies seem to be based upon a poor understanding of economics. As Keynes explained, a dollar is worth more than a dollar having pass-through effects in the economy. Ricardo’s theory of competitive advantage, another underpinning of a globalized economy, hinges upon the idea that countries are better off importing what they are not good at and exporting what they have a competitive advantage in -- in this case SA needs to import skilled labor. Skilled labor, like myself, will not be stealing a job, but filling one that will actually help grow the economy; thereby having knock-on effects that are likely to create other jobs for many of those unskilled unemployed people. I recognize that there are real and valid reasons for the government’s policies, rooted in a tumultuous history. Yet, the inherit problems will not be solved in a short time-frame. Should SA radically reform its education so that labor is capable of filling the need, it will take at least a decade. It is true that there are two worlds in SA rich and poor, where skin color is often the clear delineation. Yet the current policies will not alleviate this for the masses. My primary lesson from my time in SA is that poor policies rooted in xenophobia will only further stifle the country’s economic progress and make it harder to achieve the government’s aim. It might think it’s winning the battle, but it is slowly losing the war. SA must continue its efforts to reform the education system, while opening up its economy to skilled labor if it wanted to thrive. A lot has already been written about the emergence of tech hubs across Africa. Many have attempted to map major players in the growing ecosystem including Julia Manske in a report for Vodafone and Tim Kelly of the World Bank. By the end of the summer, I will have had the opportunity to visit five major labs including the iHub, Nailab, and m:lab in Nairobi, the Hive Colab in Kampala, and Jozihub in Johannesburg. With each visit comes a better understanding of how these open workspaces, tinker shops, and innovation incubators work. Greetings from Kigali, Rwanda! My name is Heather LeMunyon and I’m a Master’s degree candidate at the Fletcher School at Tufts University in the US, where I’m concentrating in international business relations and development economics. I’ve been in Rwanda for about one month now, and have been gaining incredible experience diving head-first into the challenges and opportunities that the Rwandan economy and its businesses have. During the summer break between my first and second years at Fletcher, I am working with the African Entrepreneur Collective (AEC), a non-profit business accelerator for young, growth-oriented entrepreneurs in Africa to create jobs for the unemployed in their communities. To reach these goals, AEC works through local business development partners in order to best tailor services to the communities of each country. In Kigali, I am working through AEC’s local Rwandan partner, Inkomoko Entrepreneur Development, a full-service business development firm focused on developing start-up, small and medium enterprises to grow them into effective businesses. In Kinyarwanda, inkomoko means “the source” or “origin.” Inkomoko is industry-agnostic, meaning that they do not focus their business development services for any one particular sector. However, their clientele is fairly representative of the Rwandan economy – about 40 percent of their clients work in agriculture or food processing, with other large sectors being construction, professional services, information and communications technology (ICT), and energy. My role with AEC through Inkomoko has been to work directly as a short-term consultant and business mentor for two of their clients, HPS&B, a rice processing company, and Hollanda FairFoods, Rwanda’s first potato chip company. My background is in agribusiness development, so the opportunity to work hands-on with two of Rwanda’s promising post-harvest agricultural processing businesses has been incredible. The work that AEC, Inkomoko, and their clients accomplish on a regular basis is quite impressive. On my first day in the office, I read an article on the front page of The New Times, one of Rwanda’s national newspapers, on the impressive business growth of one of Inkomoko’s clients, Green Harvest, a company producing hot sauce and spices. Four out of the fourteen national finalists for Rwanda for the international SeedStars Business competition were Inkomoko clients, one of which was Hollanda FairFoods. I was honored to be here for the last day of Inkomoko’s fiscal year on June 30 when all of their nine full-time staff celebrated the 80+ new clients they brought on this past year and the impressive successes many of them have had in growing their businesses. My work has been busy, rewarding and fun! My assignments thus far have included updating market analyses and financial projections for both HPS&B and Hollanda FairFoods; liaising between clients and international investment firms looking to invest in emerging markets, particularly in Rwanda; collaborating with my clients to develop data collection mechanisms for market information; coaching Hollanda FairFoods on its first pitch to international investors; compiling funding opportunities for Rwandan agribusinesses into a centralized database; and analyzing Inkomoko’s metrics for organizational development. Life isn’t all work, though. The Inkomoko staff work incredibly hard but also know how to let loose. Last weekend, we celebrated the end of the fiscal year with a day-long goat roast, complete with about 100 brochettes (kebabs) for all of us by the end of the night. They’ve also had a bit of fun teaching me words in Kinyarwanda as I slowly learn a few phrases in the language. Living in a large group house with AEC’s other short-term business mentors has been fun as well—a great platform for getting to know other graduate students and young professionals interested in entrepreneurship in emerging markets, and great for planning weekend trips to explore Rwanda outside of Kigali. Time is already going by so fast! I’m looking forward to meeting up in Uganda this coming weekend with some this year’s other Blakeley Fellows in East Africa, too – Anisha Baghudana, Manisha Basnet, Owen Sanderson, and Anjali Shrikhande. More updates to come during my next few weeks in Rwanda – until then, many, many thanks again to the Blakeley Foundation for making all of this possible for me, and enjoy the photos of life in Rwanda thus far! “How’s your summer going?” I have been asked this question countless times from friends, family, and former colleagues since landing in Nairobi four weeks ago. This open-ended inquiry is usually followed up with, “What’s Ushahidi like and how are the people?” While I cannot claim to be an expert, the last month working in the Ushaverse (the collection of enterprises and initiatives launched by Erik Hersman, Juliana Rotich, David Kobia, and others) has provided me with a healthy taste of life in Kenya’s magnetic entrepreneurial tech scene. And I am happy to report the experience has been incredibly positive. Below are a few pictures showing the "two worlds" that exist in SA. From a world class rugby stadium and the ultra modern stock exchange, to the dirt streets of a slum 15 minutes away. Hello again from Anisha in Nairobi! In this post, I want to give you a descriptive feel of Kibera, Nairobi's slums. I have visited Kibera twice in the last ten days, the first time for a tour and the second time to conduct interviews. This post is about my first visit. Kibera rivals Dharavi - Mumbai's slums that I am familiar with - in every possible way: entrepreneurial energy, poor living conditions, environmental pollution and a sparse cheerfulness that defies logic but is not uncommon among people who live on little. I was escorted by Abasi (fictional name; I picked the first one I saw on a Kenyan baby names’ page), the young 26-year old leader of a Kibera community non-profit that makes money for its members through recycled products. There are two Kiberas in Nairobi city, and seven villages inside them. They are divided by “trees and rivers,” as Abasi said. The rivers are genuinely small drains, and nothing more. The trees - only years of living in Kibera can turn them into landmarks. A railway track separates the posh neighborhoods of Kilimani and Kileleshwa and a golf course from Kibera. This railway line goes all the way into Uganda, and was built during colonial times (in 1899). Even today, trains pass through every four hours, I am told, carrying passengers into the neighboring country. Abasi and I walk and talk, and I wonder if I should be taking pictures to document photographic evidence for my research. Seems wrong. Our first stop is a garbage separation point where some of Abasi’s employees are busy at work. In a nearby hut, Abasi shows me a few paintings members of his organization have made using recycled materials. He explains that 50% of money they make on each painting goes towards operational costs – marketing, selling, buying ‘raw materials’ (that’s waste basically) – and the other 50% goes to the skilled individual (artisan / artist / designer-tailor / handicrafts man) who creates the final product. This is too good to be true, but seems to work. A little more about Abasi at this point. Abasi is from Kibera. His parents hail from the western part of the country. They moved to Kibera in the 60s, after Kenya gained its independence in 1963. Around this time, Nairobi held the new promise of many lucrative jobs and saw droves of people immigrating from villages. Kibera was one of the cheapest parts of the city to find housing. Abasi was born and brought up in a Kibera house where he lived with his seven siblings and parents. He lives in Kibera today too, but now with just one brother and parents as the rest of his siblings are married and have their own families. Abasi’s folks belong to the Luhya tribe, which forms the majority in Kibera. Interestingly, Luhya is not the largest tribe in Nairobi – that’s Gikuyu (pronounced Kikuyu), the one that my taxi driver belongs to. According to Abasi, Luhyas are gradually taking over from Gikuyus all across Nairobi as they are having more babies. I don’t know how much of this to go by, as a lot of tribe-related information I get is conflicting and I can’t find a reliable resource online either. Abasi completed his undergraduate education in community work at a local private university on a scholarship. This voluntary initiative takes up 40% of his time. He spends the remaining 60% on odd jobs that provide for him. He wants to open up a recycling plant in Kibera soon. It requires significant capital, around USD 10,000, and is therefore not a foreseeable reality. So, Abasi would rather do a master’s in development studies in Nairobi or outside the country on a scholarship for now. I ask him, what do you want to do ten years from now. He says, definitely work with people in Kibera to improve incomes. I ask if he thinks the slums will still exist ten years from now, and he’s pretty confident that they will be around. Like a dog with its tail firmly between its legs, I walk into the heart of Kibera with Abasi. I decide to be brazen enough to get my phone camera out and capture some of what I see. I am taking pictures mostly of green-painted M-pesa agent shops and “Lipa na m-pesa” (Pay with M-pesa) stickers on shop windows. The one time I venture to take a picture of a door with Kenyan graffiti on it, I get my wrist wrung by a butcher. I am taken aback and tell him that I am not taking a picture of him. Abasi intermediates for me. The man refuses to let go and wants to look at the picture on my phone. Even after I show it to him and proceed to delete it, he is not convinced. Abasi tells me it is because he is frightened. A lot of people are superstitious and believe that a photograph can steal their souls. Ah! I should have thought about that. Happens, or used to happen, in India too. Abasi talks some more in Swahili to reassure the butcher, and finally we walk again. A number of girls on the way say “Sasa!” (hi!) to Abasi and stop him to chat. He is quite the popular man. He tells me that many of them would like to say hello to me, “in a good-natured way only”, but he is telling them to not pester me. This partiality in treatment, even if meant just as courtesy for a guest, makes me wonder who actually creates the divide – the outsiders or the slum-dwellers. We cross the railway track. On both sides of it, are –smiths of all kinds. The track is on an elevated level, and you can see all of Kibera from this vantage point. There are discolored corrugated tin roofs looking up at us from everywhere. At one far end, painted in big block white letters on one of the biggest roofs is ‘Kibera Health Clinic’. This was built by some Scandinavians. We are going to walk in a loop now, descending from one end into the ‘valley’ and coming back up from another to the track. As we walk, I see many shops – rice, sorghum, maize, small mom and pop stores with everything, bananas, wood, and even a kiosk which sells USB drives. Of course, there are as many green M-pesa agents’ shops as there are Starbucks cafes in any self-respecting developed city. One every 20 feet literally. It is not surprising because you can pay using M-pesa at the smallest of shops. However, not every shopkeeper has an M-pesa till number. This is a code that they need to buy with a small amount of payment every day to Safaricom so that customers can pay them with M-pesa. When the customer enters the code and an amount on her phone, that money is deducted from her M-pesa balance and credited to the shopkeeper’s M-pesa account. If the till number is not renewed daily, the shopkeeper cannot transact with M-pesa. This is something I need to come back and probe, to see if M-pesa is actually used for trading goods and services, beyond remittance-like transfers. I am thinking of interviewing about 20 Kibera consumers (ordinary people) and micro-entrepreneurs (tailors, locksmiths, ironsmiths, plumbers etc.) and 20 M-pesa agents, but need to think through the robustness of such a research plan. M-pesa agents fascinate me. I don’t yet properly understand their role in this economy driven by mobile money. Here’s what I got out of speaking with one of them in Kibera. The way the system works is that the M-pesa agent first deposits liquid cash with Safaricom, which then credits his mobile phone with the same amount of M-pesa. Let’s say he deposits 1,000 units with Safaricom. Now, say you go up to the agent, and deposit 100 units of cash for 100 units of M-pesa on your mobile phone. Safaricom debits 100 units of M-pesa from the agent’s account and credits it to your account, and your 100 units of liquid cash is pocketed by the agent in return. So, the agent works as a completely independent micro-ATM. If he expects a large number or shilling value of M-pesa transactions, he can choose to deposit a greater amount of money with Safaricom to support the demand. It all depends on how much liquidity he can forego to begin with, which begs the question – is it only for those in Kibera with deep pockets? I ask Abasi and the M-pesa agent, how do customers choose which agent to go to? Isn’t the competition too high with so many of you within breathing distance of each other? Or, like the Starbucks model, do people go to the nearest one? Starbucks’ retail strategy pre-recession included opening up cafes on opposite sides of a street, because consumers suffer from so much inertia that they don’t like crossing streets, especially if there’s a traffic light. Abasi explains that customers find an M-pesa agent they trust and then make repeat visits to them, so relationship building with customers is very important. In all of this, I realize that Safaricom basically functions as a one-time ‘holding’ party, taking cash the first time around from the agent. After that, it is just moving M-pesa around from the agent to the customer, and so forth. Small changes in liquidity and dealings in cash are all on the agent, rendering her with a lot of power. If she ‘forecasts’ the demand accurately and has the liquidity (=supply) to match it, she can make some nice money in the form of commissions from Safaricom. Another interesting thing I found out is that Safaricom gives the agent more commission for the quantity of transactions, not the value of transactions. This strategy is something I need to understand better. After agonizing over how M-pesa works, we walk to Abasi’s old house. Dwellings all around us are made of clay and supported with wooden sticks. Abasi points out to me communal showers on the way, which cost 10 shillings per use. Then, we go to his current house, a place built of brick and cement. I ask Abasi if he would be considered better off than most others in Kibera, and he says he would be “middle class” here. I am surprised because I have not seen too many other houses built with solid construction material. He also has a dog, as malnourished as it is, and a kennel for it. His one-room apartment is about 10 feet by 8 feet (as big as my Blakeley room, strangely enough). It smells of stale ugale and sweat, like many boys’ rooms back in undergrad, I must say. This may be due to different circumstances of course, but hey, I am just trying to lighten up the mood here. We finish the loop, run into a few other people, and finally walk back to my house for lunch. Hello! My name is Anisha. I am a first-year graduate student at The Fletcher School and a Blakeley Fellow in 2014. This 'summer' (technically, it is winter where I am, south of the equator), I am spending my summer in Nairobi, Kenya conducting research on the impact of m-commerce in addressing some of Nairobi's most pressing urbanization challenges. Let me tell you a little bit about myself first to set the context. I am from India, but have spent close to nine years studying, working and living outside the country. Most recently before Fletcher, I lived and worked in Singapore. At Fletcher, I am pursuing a master in international business, with a focus on strategy consulting, international finance and technology in development. You can read more about my background here if you are interested. Coming into Fletcher, I was very keen to put my private sector experience to use in frontier markets. Having spent time in sub-Saharan Africa in 2009 as a Teaching Fellow at the Meltwater Entrepreneurial School of Technology in Ghana, I was interested in coming back to Africa. The Blakeley Fellowship gave me the the opportunity to pursue my career interests, and long story short, I landed up in Nairobi! (1) While a lot of solutions are coming up via the mode of m-commerce, are they providing only symptomatic relief or actually creating long-term change? (2) Who is spearheading innovation - small and medium enterprises, corporate players, public sector and/or NGOs? How is the government engaged and being engaged in these efforts? (3) Who are the beneficiaries - low-income, middle class and/or high-income? I am doing this research under the aegis of the Institute of Business at the Global Context or IBGC at The Fletcher School, with support from Mastercard Worldwide. Needless to say, there are a lot of knotty issues to think about as Nairobi urbanizes at a fast pace. Income and wealth inequality, governance, urban planning, infrastructure including but not limited to information and communication technologies (ICT) and human capital are but just a few. I have now been in Nairobi for about two weeks. My research methodology involves conducting in-depth qualitative interviews with stakeholders from a variety of organizations including tech startups, corporate players, government, public sector, academia and consultancies. Of course, these interviews need to be structured in a manner that we can draw conclusions and insight in our analysis. Additionally, there is extensive desk research akin to a literature review that I am doing simultaneously. My fieldwork is estimated to be spread out over eight weeks, and in the two weeks so far, I have learnt some very interesting things. (1) There is a tremendous amount of innovation coming out of Nairobi, but it is overwhelmingly focused on smartphones. This is not to say that "dumb" phones or basic feature phones are not getting connected to the throbbing pulse of trade and business in the city, but it is still limited. These observations come from a field trip of Kibera, Kenya's largest urban slums, where I interviewed several micro-entrepreneurs. As a corollary - and this is a hypothesis at this point - it would appear that beneficiaries are mainly from middle-income and high-income groups. It would be hard to say that the base of the pyramid is disadvantaged in a context where we are talking about a low-income country to begin with, and this stage of development, any income growth is a prerogative over addressing income inequality, but there is strong reason to probe whether low-income consumers are part of the growth story. Especially as I read Thomas Piketty's mind-opening book on the rise of income inequality that capitalism promotes (or at least does not negate), I find myself delving into question repeatedly. (2) Safaricom - the leading telecom company in Kenya with a market capitalization worth 27% of Kenya's GDP - has engineered a revolution in how money is transacted by making it possible, easy, affordable and commercially viable and is at the forefront of catalyzing change. M-Pesa, their mobile payments system, is largely behind the transformation of Nairobi into a m-commerce leader. It is also a fundamental platform for most m-commerce businesses to convert consumer demand into real purchase. Having said that, m-commerce ideas have taken a life of their own, and are evolving in a very distinct manner that encourages consumption as opposed to plain vanilla savings (which is what M-Pesa was started to enable). (3) I will also include a question here masquerading as a takeaway. I started out with the idea of understanding whether m-commerce driven change was having long-term or short-term impact, but I realize the need to think about whether it matters? In an environment where "smart" planning and execution is so far from reality, perhaps thinking long-term is not the solution. Perhaps, short-term solutions can create more tangible impact. All in all, it looks to be an exciting summer, with a lot to learn about private sector development, entrepreneurship and technology in one of the foremost frontier markets in Africa. As I write this, I am quickly approaching the end of my first full month in Uganda. By now I have settled in quite well at my guesthouse in Kampala, attended a local wedding and traveled to over 9 districts in Northern Uganda; it seems unbelievable that up until a few weeks ago I had never been to Africa!. I arrived Kampala in May with a mixture of anticipation and apprehension. On my ride from the airport I noticed that Kampala was very similar to Kathmandu (my home town in Nepal) at first glance. Both are surrounded by hills and every road has ample potholes, street vendors, not-so-cautious motorcycle riders, and similarly lined rows of shops along main roads with advertisements painted for Coke, Pepsi or telecom companies. It felt good to be ‘back’. Since then comparing Uganda with Nepal (albeit superficially) comes naturally to me; there is less deferential here…women ‘seem’ relatively more empowered…people are equally laidback…sodas and food cost twice as much etc. Generally though, Uganda is similar to Nepal in that the truly poor population does not have nearly enough and the truly wealthy have way too much. In Uganda this gap seems slightly wider, as Nepal has a relatively larger middle class, but the principles of disparity are there and our countries are suffering for it. . In the days following my arrival, I began my work as a Consultant for FIT Uganda, an agri-business consulting firm. The work includes assessing the implementation of Farmer Record Management Information System (FARMIS) in North Uganda, and providing recommendations based on the assessment to facilitate delivery of enhanced results. FARMIS is an innovative project that provides farmers with market information and intelligence, financial literacy, as well as a web and mobile-based farm record management capabilities. My trip to Northern Uganda was a part of this project. We met and interacted with over 300 farmers. I am now working on financial linkages component of the project for which I have presented a concept note that proposes a framework on access and use of credit by farmers that links them to the formal financial system. Additionally, I am also contributing to and editing the Market Analysis Report, an annual national agri-market analysis publication of commodities in Uganda. Before my time ends here, we are working to outline the design of a financial literacy program in partnership with Mercy Corps, GIZ and Bank of Uganda. The program is intended to provide farmers in rural Uganda with financial management and educational information through SMS and radio. .
Everything is coming together well! All in all it is shaping to be a productive and a fulfilling summer. The night is coming to an end so I’ll leave you with some pictures: . Manisha Basnet is a Development Economics candidate at the Fletcher School of Law and Diplomacy (MALD '15), as well as a Blakeley Fellow. Hi! My name is Braden. I completed my MBA at IE Business School in Madrid and two of three semesters of my MALD (master of law and diplomacy) at The Fletcher School at Tufts University. Before graduating in December of 2014 I am spending this summer doing an internship in Jozi (as locals call it). I was fortunate enough to be awarded a Blakeley Foundation Fellowship to support my participation in Emzingo, a social impact leadership development program. Emzingo seeks to build socially responsible leaders by bringing together a group of MBA and policy students for leadership training, field immersion (i.e. being in South Africa), and social impact consulting. We are a group of 17 people from 7 nationalities hailing from masters programs in the US, Europe, and Canada. 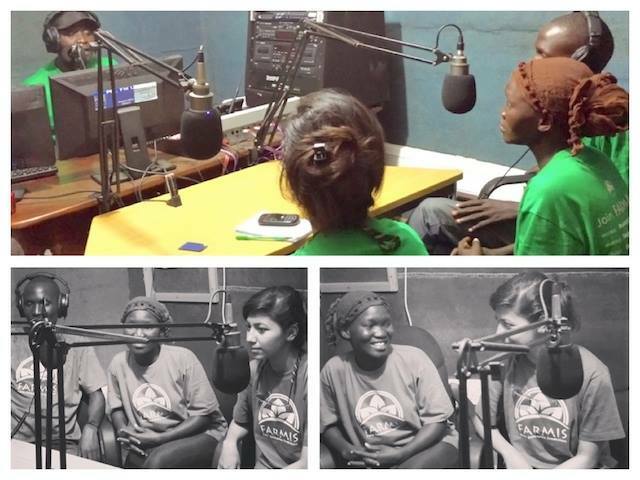 This week was orientation and tomorrow we begin working on our projects; each project has a pair of students. I will be working on a project with a wonderful woman from the UK, Lavinia, at Endeavor South Africa, a high-impact incubator. It is an extraordinary program and this week has been a whirlwind of excitement – I will provide some of the highlights from the country and program. 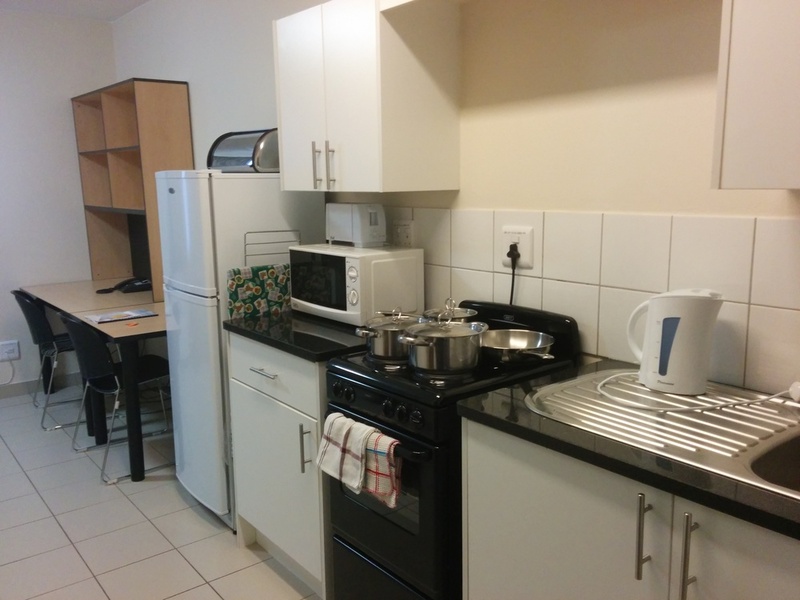 We began by getting settled in our apartments located at University of Witswaterand, Johannesburg leading university. The apartments are like a large dorm room with a kitchenette, desk, bathroom, and are fully furnished. We also get a rental car for each team. The first night we went to a great restaurant to celebrate and get to know each other where we ate tons of great meat – what South Africa is known for. Throughout the week we had a range of events that include: a tour of the city, visit to the Apartheid Museum, seminar with a Wits Business School professor, leadership seminar, life-reflections group session, cultural awareness seminar, and lots of lunches at great places. Friday we spent the day with Coca-Cola Africa’s Director of Sustainability where we learned about some of their efforts to do responsible business. This included a trip to a school they built in a rural squatter camp. Saturday we toured Soweto where we visited Kliptown Youth Program, which won the CNN Hero award for its education program in the slum. Afterwards we went bungee jumping off Orlando Towers, a regeneration project in Soweto. 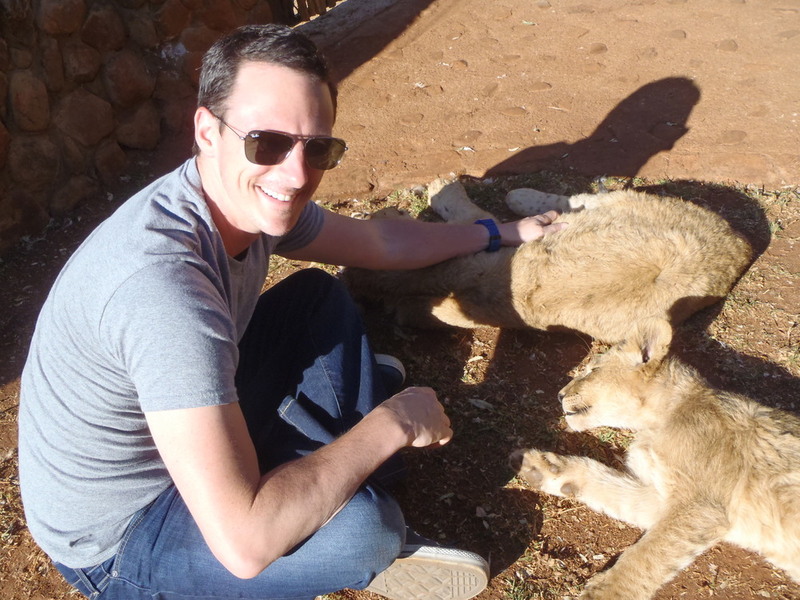 Sunday a group of us went to a reserve about an hour and half out of the city to play with baby lions. All-in-all a pretty epic start to the Emzingo program. Among all the cool events we took time to understand the history of South Africa, which I knew little of. It truly is a miraculous country with many lessons to share with the world. Mandela was a tremendous leader who guided the country through a transition that by if you had asked any political scientist should have been a civil war. It is also amazing that apartheid existed so recently, and reminds us of how real the threats are that still exist. Among all this it is striking how many black South Africans are rising up to be the middle class. Having spent time in Kenya I was struck at how the “bar” for poverty here is, on average, much higher than in Kenya. After only a week I can understand why South Africa is a lighthouse on the shores of Africa, guiding the continents way. Thank you Mr. Blakeley for making this possible! The main reason that brought me to Peru was to learn and find out more about the stage of their entrepreneurial ecosystem. According to the Global Entrepreneurial Monitor (the most relevant publication about entrepreneurship) Peru is one of the most entrepreneurial countries in the world.